Celebrity moms Tori Spelling and Kendra Wilkinson are both contemplating divorce due to their unfaithful husbands Dean McDermott and Hank Baskett. They have a lot to consider and process before making the life-changing decision to divorce. Not only will it change their own lives, but it will change their children’s lives. They say divorce changes who children are — and that’s a very serious reality we parents must not take lightly. A second chance is certainly worth the effort when kids are concerned, as long as there is no abuse happening (physical, emotional, or mental) in the home. If Spelling and Wilkinson do end up divorcing their husbands, here is a reality check of what they will be facing as divorced parents with young children. Learning to respectfully co-parent together is essential for the well-being of their kids. Now that you’re divorced — or perhaps you’re still going through the legalities of the divorce process, but at any rate, you and your husband no longer share a roof or a bed — the dynamics of your family have changed. Whether you have one child or more, it’s just you and your child or children, and you’ve likely become aware that they’re interacting with you in different ways than before. How? Well, actually there are several possibilities, but they mainly fall into two categories. One is that they seem to be clingy and staying closer to you than ever before. The other is that they are distancing themselves from you. How can two opposite reactions result from the same circumstances? Easy! Different personalities perceive the divorce with different sets of eyes…and, accordingly, react differently. Clingy: Kids who fall into this group are afraid that you’ll leave him too. Being self-centered, a child will perceive the divorce in terms of Daddy having left him rather than this being between Dad and you. The child will cling tightly to you to avoid this fear. Distancing: Again, the child perceives the divorce in terms of Daddy having left him and is afraid you’ll leave him next, but this child, having a different personality, distances himself from you rather than clings to you. His methodology is to get used to losing you before it happens, so that when you leave him, it won’t catch him by surprise and hurt as badly as when Daddy left. Then, there is the child — typically a little older — who comprehends that the divorce was between you and Daddy but blames you for making Daddy leave. This child will distance himself from you out of anger. The child may also act out as well as being cold and distant because he is testing you. He is trying to see if you will leave if he does his best to push you away. He doesn’t really want you to leave; he’s just testing you to see if you will. Togetherness: A few visits to a good therapist who specializes in children or families may be in order, but there are things you can do on your own as well. Have another talk with the child. Kids don’t always “get” the concept of divorce the first time it’s explained to them. Your child needs to understand that Daddy didn’t “leave him” and that, even if you were the one who asked for the divorce, it’s not as cut-and-dry as “it’s your fault.” And above all, he needs to understand that you’re not going to leave him — ever. Get involved in a project with the child. Any kind of project will do: scrapbooking, redecorating his room, a knitting or crochetinng project, or a gardening project — anything that will have you two working closely together. Be yourself, unchanged and unchanging. Show the child through your actions that you are still Mom. You are still loving; you have not changed; and you are not going anywhere — no matter what happens and no matter how the child behaves. Time will help heal the situation. You can do your part to make it better too. As with so much else in parenting, patience is called for, but by now, you should be an old hand at that. 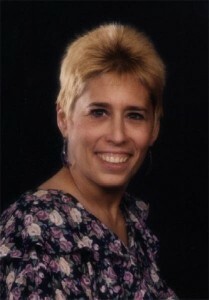 Cynthia MacGregor is a multi-published author. She has over 100 books to her credit. They include “After Your Divorce,” “Divorce Helpbook for Kids,” “Divorce Helpbook for Teens,” “Solo Parenting,” “’Step This Way,” and others. Forthcoming books include “The One-Parent Family,” “Why Are Mommy and Daddy GettingDivorced,” and “Daddy Doesn’t Live Here Anymore.” She hosted and produced the TV show “Solo Parenting,” which was broadcasted in South Florida over WHDT. Cynthia writes for HopeAfterDivorce.org, FamilyShare.com and LAFamily.com. Contact Cynthia at Cynthia@cynthiamacgregor.com.